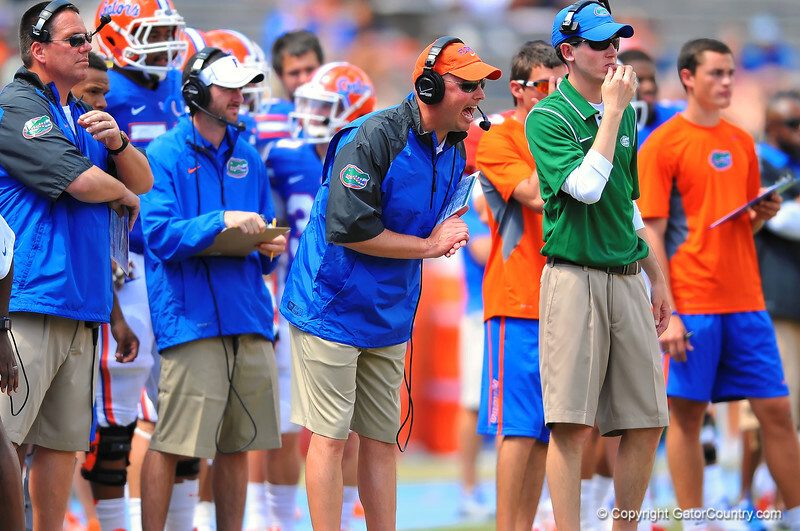 Gator offensive coordinator Kurt Roper yells out his instructions to his players. 2014 Orange and Blue Debut. April 12th, 2014. Gator Country photo by David Bowie.